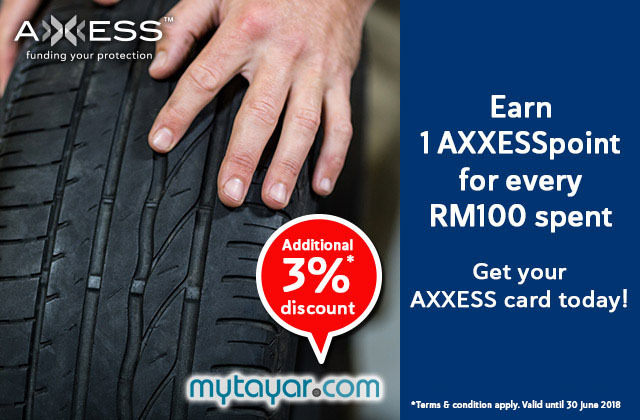 Tell me More : AXXESS members can enjoy 3% discount off the total spent on MyTayar.com. Enter discount code 'AXXESS' upon check out. Hurry and check out this special deal! This promotion is not limited to the number of purchases, transactions or members. RM 100 = 1 AXXESSpoint. Valid from now until 31 Dec 2018.